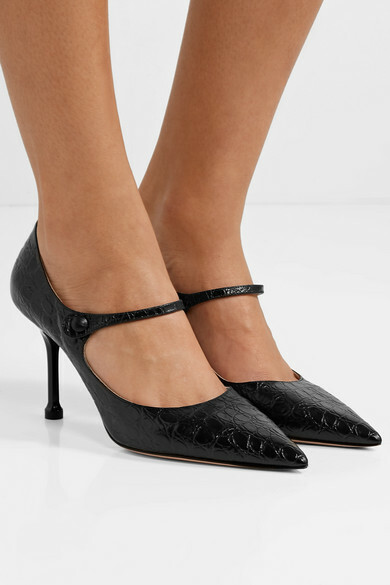 Prada’s Spring '19 runway paid homage to the '60s, featuring re-imagined pieces like these Mary Jane pumps. 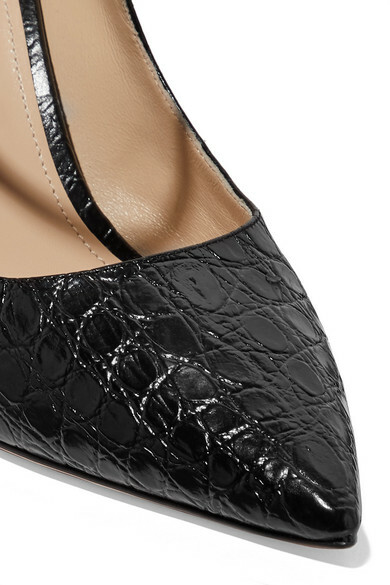 They're made from croc-effect leather with a sharp, pointed toe and slender 90mm heel. Wear yours with everything from mini skirts to jeans. Shown here with: Prada Skirt, Prada Bodysuit, Prada Sweater, Prada Coat, Prada Shoulder bag, Pan & The Dream Socks.